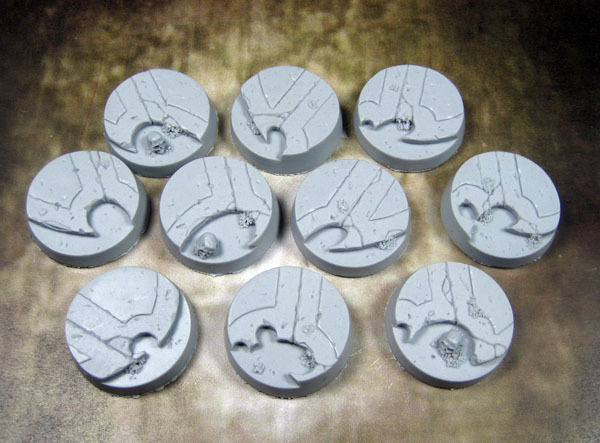 Excellent bases for practicing edge highlighting and dry brushing. cool dirt detail and an occasional skull. I used these for a few descent: journeys in the dark heroes.